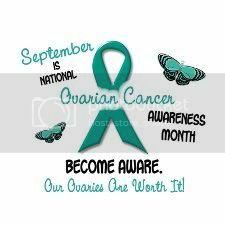 I would like to say thank you to MissC from Life As I See It, as she reminded me that September is PCOS (Poly Cystic Ovarian Syndrome) Awareness month. You may ask yourself what is PCOS? You should. Because 1 in 10 woman are diagnosed with PCOS. Unfortunately, I am one of those woman. PCOS is a systemic endocrine and metabolic disorder that affects the whole body. Woman with PCOS have a much higher risk of diabetes, uterine fibroid's, ovarian cancer, endometrial cancer and breast cancer. There is currently no cure for PCOS. PCOS symptoms are often different for each woman. It is a complicated disorder with many possible signs and symptoms. The increase in androgen's contributes to many of the symptoms that women experience. Because androgen's are hormones which cause the typical male characteristics, many of the symptoms cause a distressing change in appearance. Depression is common as a result. I was diagnosed with PCOS back in 2005, and my life since then has changed drastically. My symptoms have gotten worse over the last year, and it's completely out of control. I suffer from terrible dandruff, flaky skin, lower abdominal pain, excess hair, depression/anxiety, heavy menstrual bleeding- hemorrhaging at times, and terrible PMS. I've written many posts with further information about PCOS. Click here to view all PCOS posts. Stopping by to say HI on the Thursday hop, I am already a follower! Man, I really need to schedule a checkup. I haven't been since my daughter was born, oh, nearly 3 years ago. Yikes! I'm so sorry. This sounds miserable. 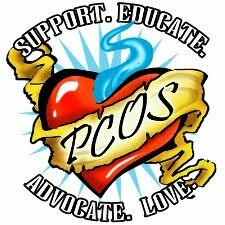 Thanks for bringing awareness to PCOS. Thanks for your informative tips.